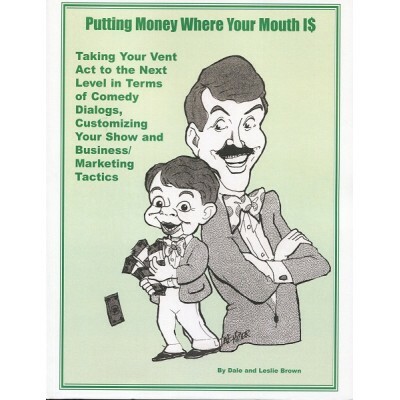 "Taking Your Vent Act to the Next Level in Terms of Comedy Dialogs, Customizing Your Show and Business/Marketing Tactics." This fantastic new book from pro vent and marketing/PR expert Dale Brown provides step-by-step informarion for aspiring ventriloquists on how to take their careers to the next level by writing better scripts, improving performance, promoting on a higher level, and succeeding as professional entertainers. You'll also receive detailed instruction on how to write original scripts for your ventriloquial characters; how to use audience participation and ad-libbing to improve your act; how to become a master banquet performer and build a business around the banquet niche; and marketing and promotional guidelines that can separate you from other performers and propel your career to the professional level. 8-1/2" x 11" format, 114pp, first edition. New.